35,404 total shares. Be the next! 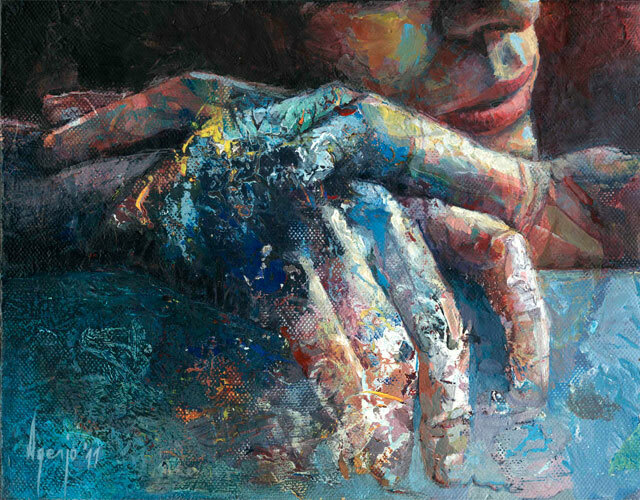 David Agenjo is a self-taught artist. He was born in Madrid in 1977 and now lives in London. 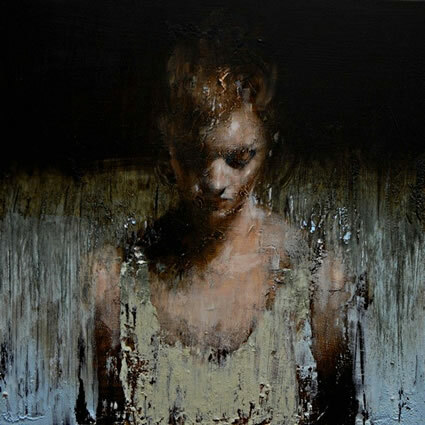 He is heavily influenced by color and texture and combines this in “unexpected” ways on his palette. He is intrigued by almost accidental ways of establishing a textural or color field, so he started incorporating and combining palette works into his actual paintings. 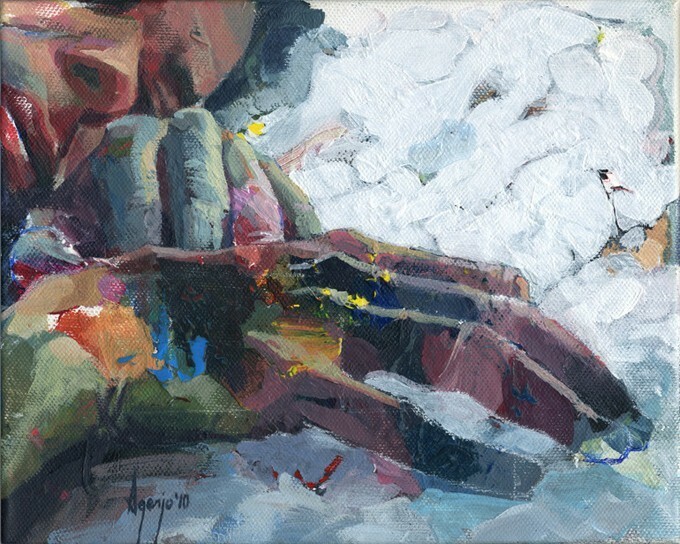 Agenjo always uses a secondary canvas as a palette, this second canvas/palette becomes the new surface on which to overlay and merge the next figurative composition. This palette, covered in random color combinations and textures, becomes the underlayer for his next figurative painting. 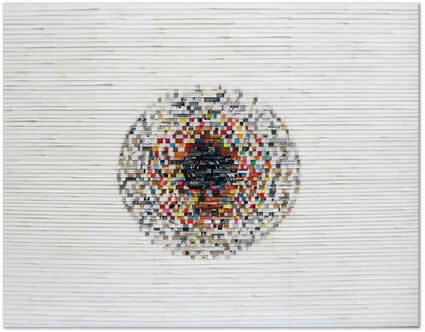 In this way, his unpredictable abstract work interacts with his more conscious figurative work process, and each of his paintings is organically linked to the previous one, almost like DNA. Some paintings contain other textural elements besides paint, such as fiberglass, grid tape, or plastic bags. He incorporates these elements in the pallet stage of the canvas building up a rich starting point for the next work. His work has been exhibited across Europe. I am an upper school art teacher and would love to use your image on our classroom laptop as a screensaver. I would also like to use your image in a project handout for painting. Of course, i would site you as a reference and resource. Will you give me permission to show your image in class? Your work is powerful and fresh and I know my students will be impressed! i am impressed by his process....genius. wow you are a talented young man born the same year as me! How ironic is that? ! I like the way you manipulated the colors! your paintings almost look like a photograph! Realest paintings are truly amazing! Meaning realistic paintings are the best! A beautiful depiction of a condition with which I am very personally familiar. Thank you. This is really good. great talent here.